Dr. Fox founded Anesthesia Pain Care Consultants in June 1996. He has spent 25 years treating patients with acute and chronic pain. He can be reached at (954) 720-3188, info@apccfl.com or AnesthesiaPainCare.com. People who live with chronic arthritis pain are often skeptical when they are told that their pain can be reduced or even eliminated. “I’ve tried everything!” they claim – and many have. It is now 2014. Medical technology has made great strides and with a growing medical field dedicated solely to the reduction of pain, the options are greater than ever. Interventional pain physicians have developed various procedures that have cured, or significantly reduced, the pain and discomfort individuals deal with on a daily basis. With arthritis, as with any disorder, proper diagnosis is the first, and most significant step toward treatment. It is important to schedule a visit with the family physician or an interventional pain management physician to discuss symptoms. Degenerative Arthritis is very common in seniors, but arthritis can also be found in younger individuals who have experienced a traumatic injury. Depending on where the pain is, there are several, minimally invasive procedures to consider. Typically, pain management physicians treat individuals who experience pain in their spine, whether it be related to the neck, the thoracic spine or the lower back. Minimally invasive injections can be administered to these joints to eliminate the pain. With the use of Fluoroscopic guidance, the physician injects small quantities of a local anesthetic at the source of pain. These injections may provide instant relief, but they also provide valuable diagnostic information by evaluating the patient immediately after the procedure while the local anesthetic has its effect. If the patient feels immediate relief, then the physician knows he/she targeted the correct joints. After the injection, relief can be permanent or temporary. Radiofrequency ablation (RFA) treatment is used to eliminate the pain fibers in individuals who experience arthritic pain in the spine. Using sophisticated technology, the physician harnesses radio frequency waves and directs them at the site of pain generating heat that eliminates the nerve endings sensing the pain, and providing nearly instantaneous relief with only minor discomfort. Relief from RFA can last forever, or pain will recur when the pain fibers regenerate. In that case, the ablation process can be repeated. Following RFA, arthritis sufferers should attend physical therapy to condition the spine so when the fibers grow back they are tolerated and no longer painful. A proactive approach by the patient can also help. Regular exercise can strengthen the muscular support around the joints, which can be very helpful for chronic arthritis sufferers. Swimming is well suited because it permits exercise with little stress to the joints. Many doctors will suggest a change in diet, encouraging fruits and vegetables with critical vitamins and minerals, such as vitamin E that is high in antioxidants, or foods rich in omega-3 fatty acids. Weight loss also helps heavier arthritis patients, reducing pain in the legs and feet. Certain creams applied topically may also be effective. There are also various medications that are recommended and patients who experience generalized arthritis pain all over the body should consult a rheumatologist. Non-steroidal anti-inflammatory drugs (NSAID) and other medications have proven to be effective in both pain reduction as well as minimizing the inflammation in the joints, however they can have serious side effects. Pain sufferers of all ages can take heart that medical professionals all over the world are looking to find ways to reduce and even eradicate pain. The concept of interventional pain care – tackling pain from the site of origin – has seen a rise in the past ten years. 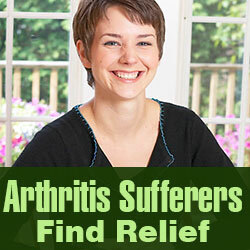 Arthritis sufferers should not have to live with daily pain.